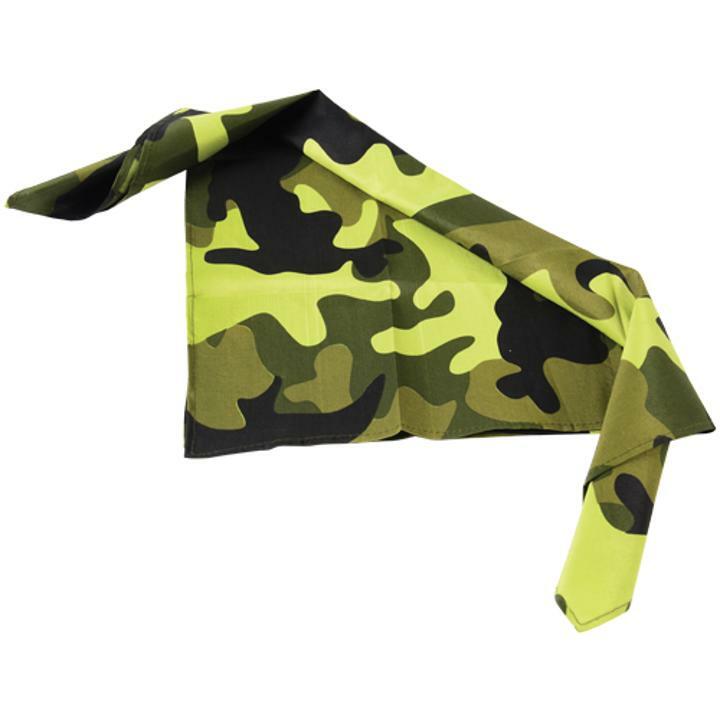 Cheap Camo Bandannas - 12 Ct.
Camo Bandannas - 12 Ct.
Go incognito with this camouflage bandana. The army green camouflage pattern makes a great finishing touch to any Army or Military costume. This bandana can also be used as a napkin or table setting at your next Army or Camouflage party or event. Made of 100% polyester. Size 20" Wide x 20" Long. U.S. Toy Exclusive! Care instructions: Hand wash in cold water. Lay Flat to dry. If ironing is needed, cover the cloth with an old towel or sheet before ironing. L: 11.5 in. W: 8.0 in. H: 0.72 in.